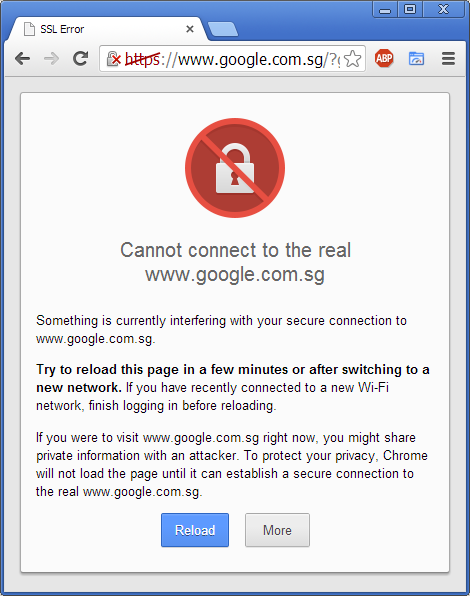 I encountered SSL error when I wrote a scripting which requires changing of Computer System Date to test the result. 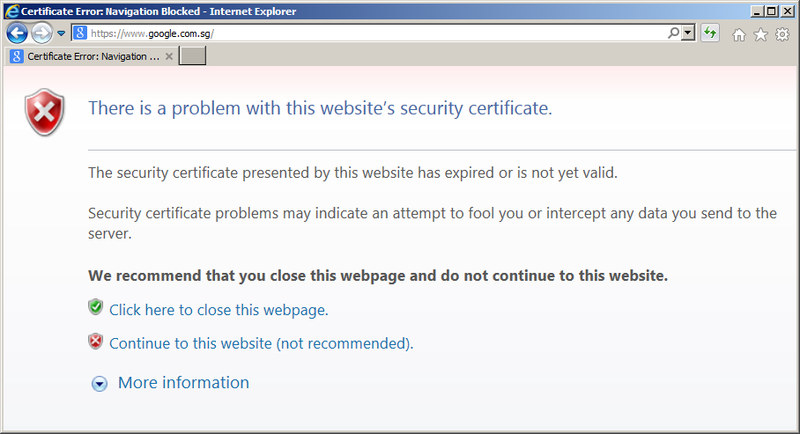 I thought there is a problem with SSL certificate. 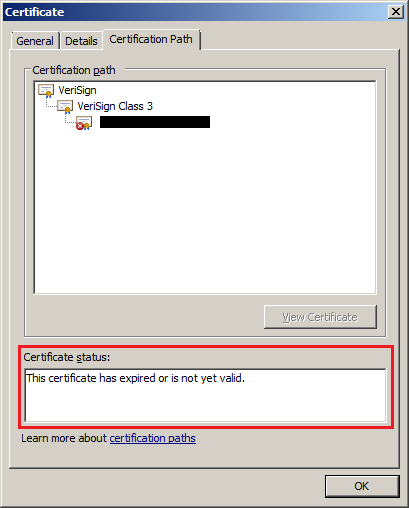 However, when you take a closer look, the certificate is already renewed. 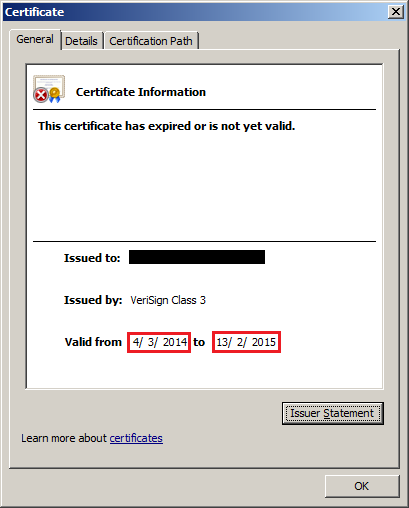 This happens when the Computer System Date is incorrect and is out of range from certificate validity. Hence, the solution is to set the correct Computer System Date manually or synchronize with Internet Time.